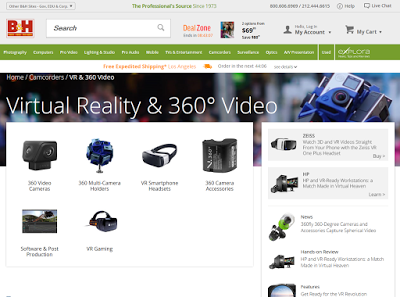 B&H Photo, one of the largest online retailers for photo and video equipment, now has a new section on its website, specifically for VR / 360. The new section covers everything from cameras to rigs to software, and includes VR gaming gear, and makes it very easy to find the right equipment for your VR needs without having to sift through listings for Nikon lenses 🙂 . Check it out here.